15' Cheemaun - Northwoods Canoe Co. 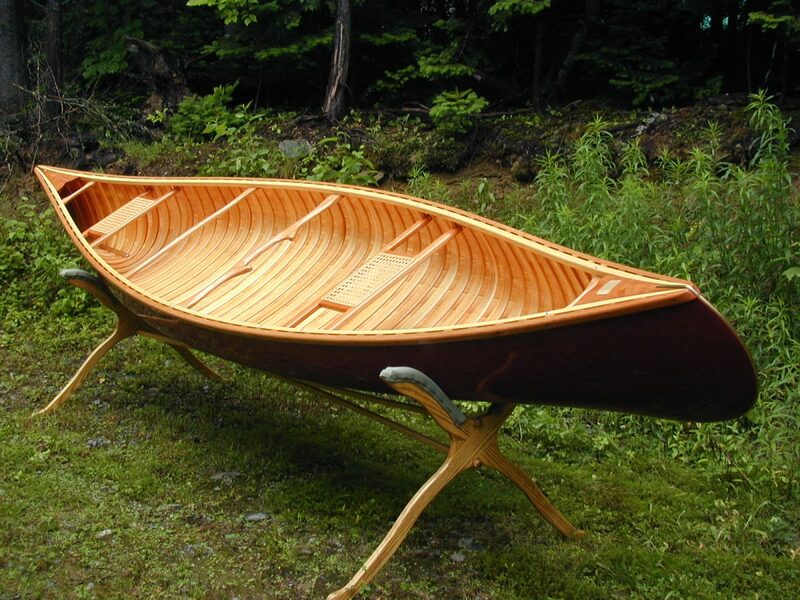 The Cheemaun 15 will serve tandem paddlers very handily on short trips and for day paddling, but is also good for the solo wilderness traveler. 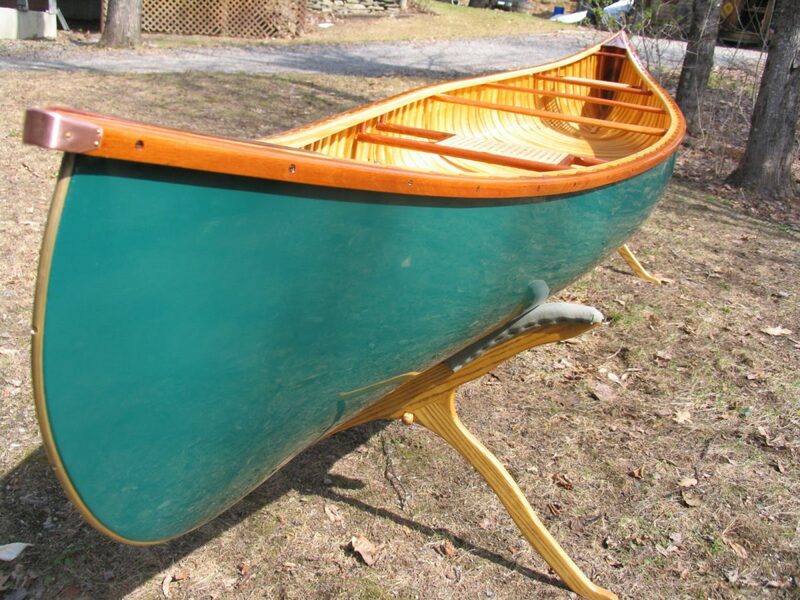 I designed the Cheemaun after the popular camp canoes in the 30’s thru the 60’s. 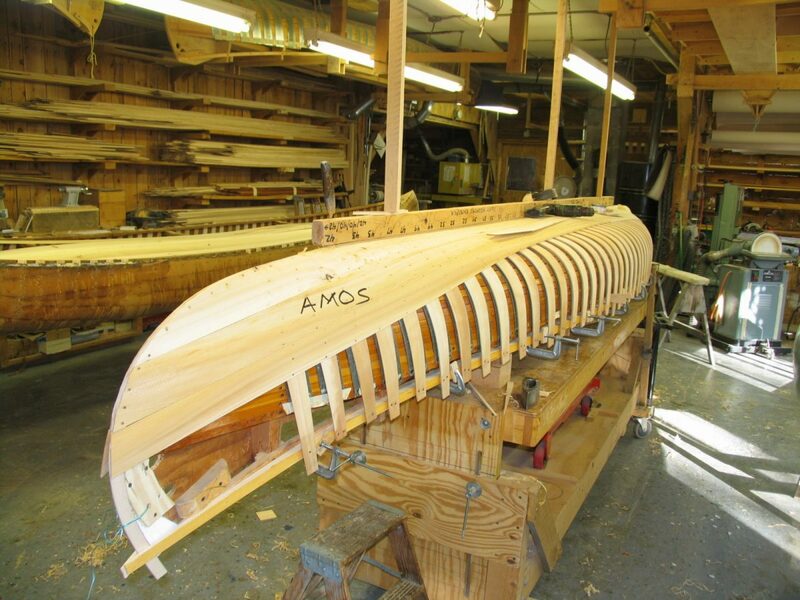 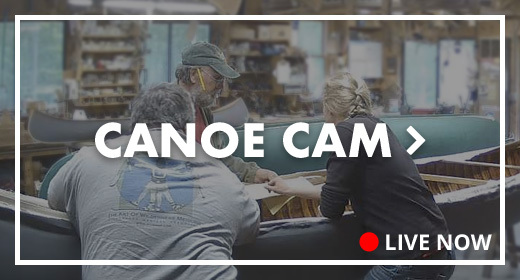 The lines for the boat are published in the book ,”The Wood and Canvas Canoe” so that enthusiast could use it to build their own boat. 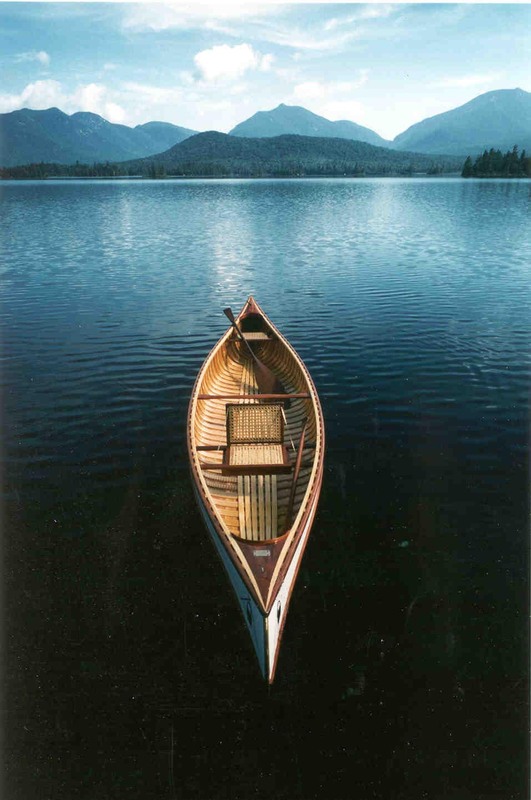 The Cheemaun’s volume allows such an adventurer plenty of space and buoyancy for a complete outfit – often absent in solo canoes – and the straight keel line makes straight tracking an easy matter. 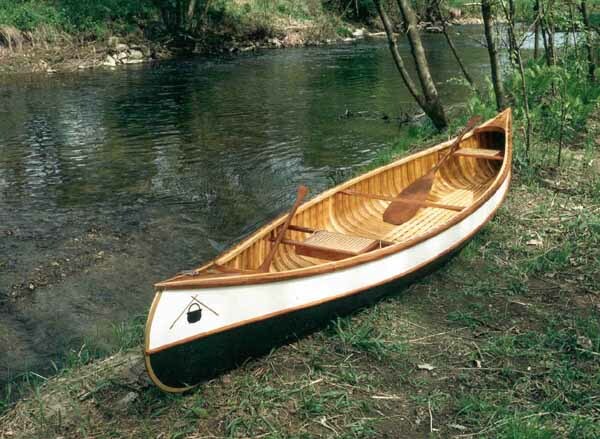 The relatively flat bottom affords the paddler an opportunity to explore the shallow streams feeding into a waterway, and also provides the stability necessary for safely carrying young passengers, and for poling. 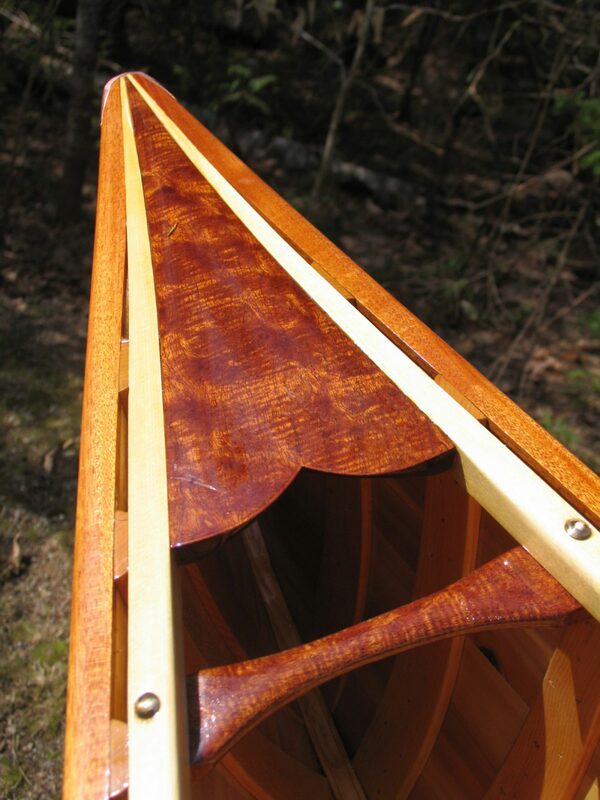 Popular options for the Cheemaun include an 18″ extended deck, rounded coaming, and an outside rub rail finished in bright mahogany which accents the hull shape and separates the top and bottom paint.